Played since BC, had 2322 rating as Warrior. Weekdays mostly, between (GMT) 4pm and 2am. Too much... around 8 hours? I have on previous servers, however this was back in LK. I am currently studying computer game texture design at college, enjoy socialising, especially with people around the world, via games etc. I am easily approachable, I can deal with situations easily, professionally and swiftly, whether that be a player needing to be kicked, or issues on the forums. Helping others on the server, and listening to their opinions on how to improve the server, as well as to help bring more of a population to the server. I feel that I help new players settle in, help show them around with where the armour vendor's are, how to 'transmog' gear, and also help them with anything I possibly can through the game. No, not at all, I have spoken English all my life, and is my primary language. I would suggest, to ensure that all currency is in working order, such as Battlegrounds giving sufficient Honour points/Brewfest Tokens, and arenas giving sufficient Conquest points, allowing people to gear up faster. By handling the situation calmly, we can determine two sides of the story, and whether one player is acting out of line. In the situation that a player is, he can be warned and kicked, warned and temporarily banned, and if the problem persists after these warnings, and permanent ban may be issued. 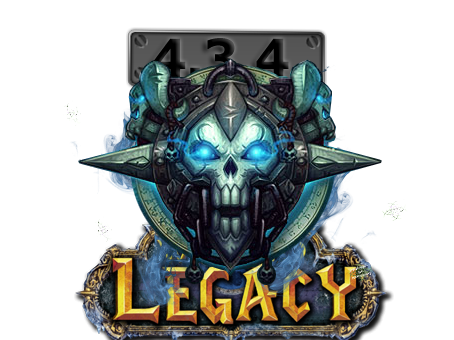 Bring a sense of help and community to the players on LegacyWoW, and help them with anything they can, ensuring they enjoy their time playing.